The forsythia is blooming and it is time to start giving the roses a trim. More about forsythia here. Nothing says hard winter like black rose canes. 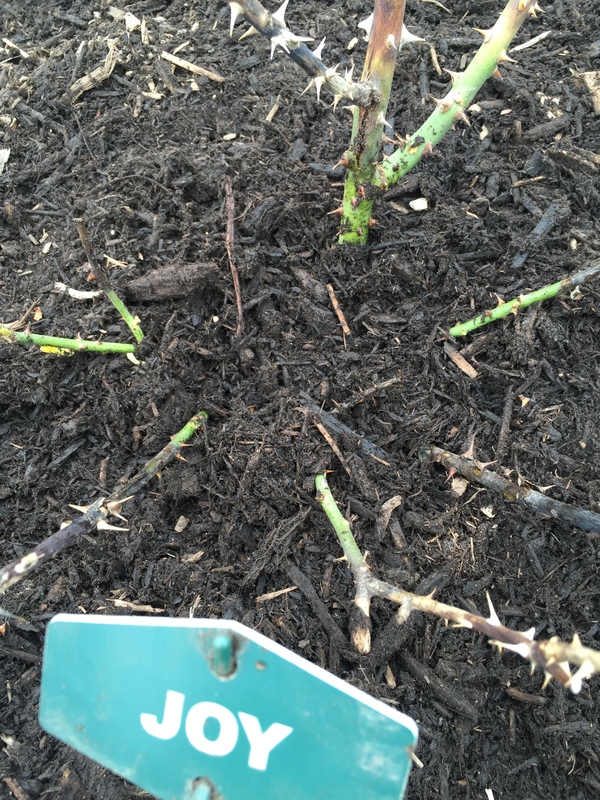 This week I am beginning to uncover the roses that I mounded with mulch to protect them from winter. I don’t mulch all of my roses. 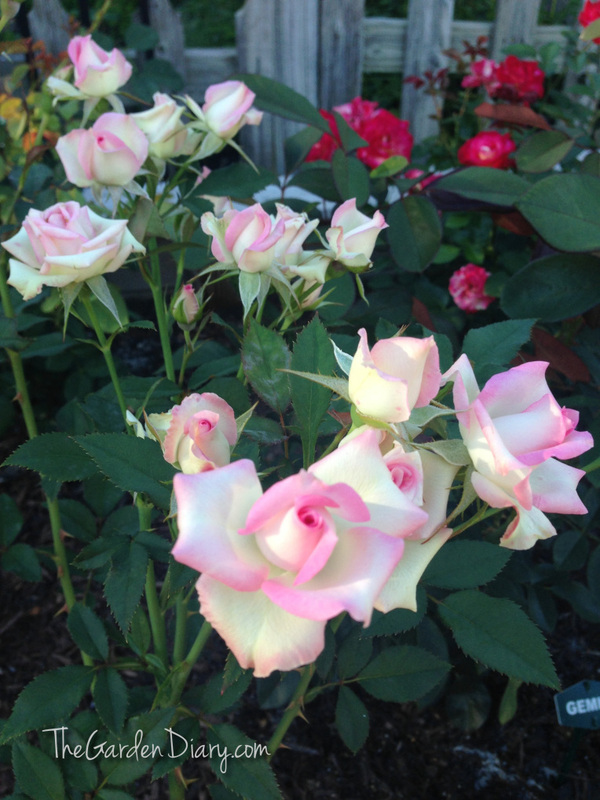 In fact I mulch very few—just the hybrid teas and the most tender roses. 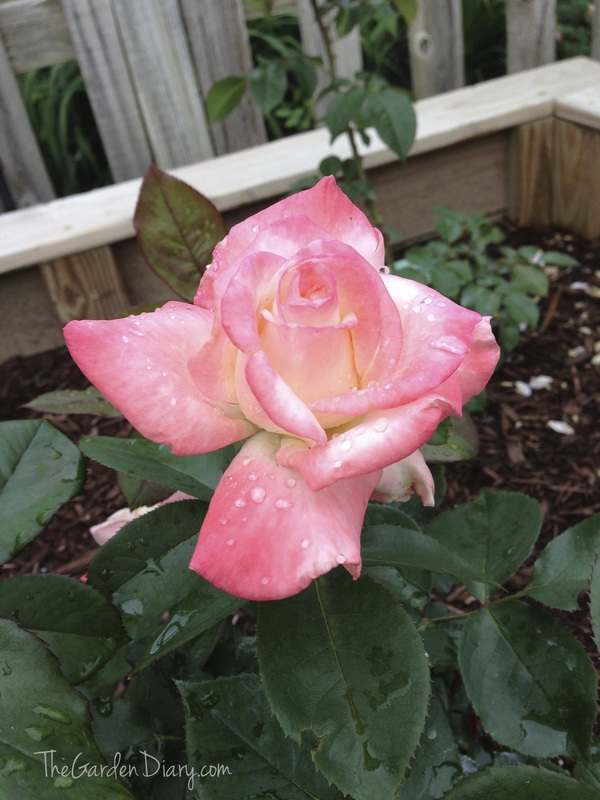 Most of my roses can take whatever winter throws at them … as was proven 2 years ago during the polar vortex. I worried and worried all that winter that all the roses would be lost but not so, they flourished last summer. 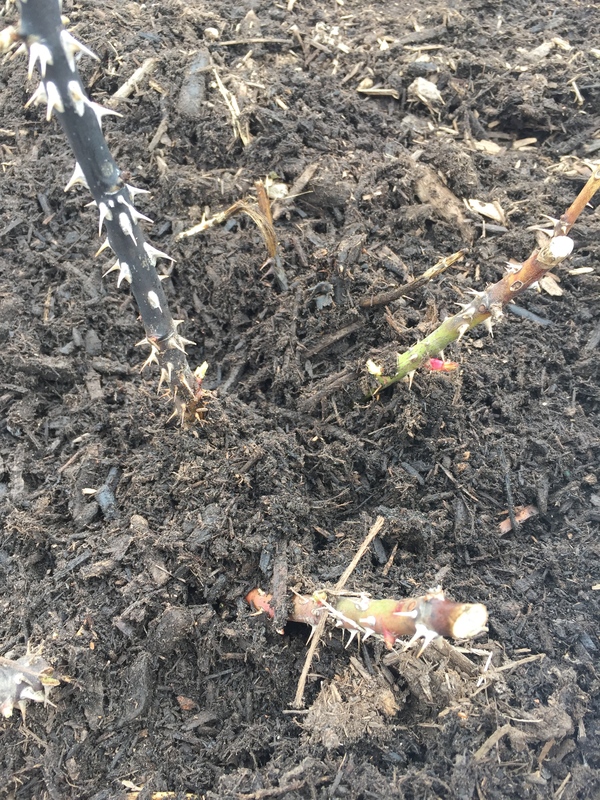 Last fall I piled about 8” of mulch on these roses and it is always a fun process to uncover them and see how they did. So here we go … Let’s take a look… Don’t be scared … It’s gonna be ugly! This is Gemini … we have black canes, a broken cane, a frayed cane (wonder what happened there?) and a bit of green. The farther down I went, things did not get much better, but there is enough. With some tender loving care and some nutrients, Gemini will be okay–once I cut back all the black, the dead, the frayed and the damaged. Fingers crossed that “whoever” or “whatever” is responsible for the broken and frayed canes, does not return. Joy had a better winter… as I uncovered I found a lot of green and that made me very happy as this is one of my favs. To read more about this rose, click here for an article I wrote last summer. Spring has officially sprung and I am back at it. I could not be happier! How about you, what chores are you doing in the garden this week? Hooray and happy spring! 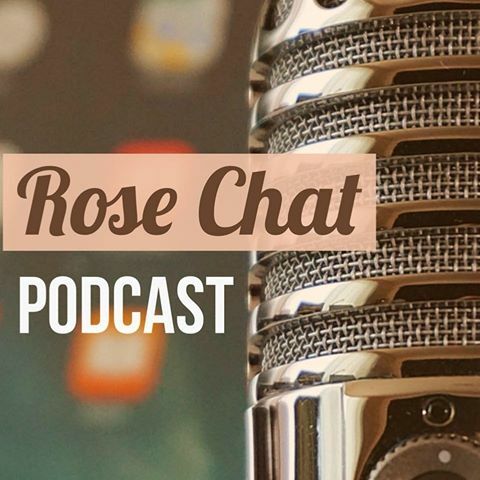 I am happy that your rose growing season is beginning! Thank you Elena. What a wonderful time of year this truly is. Rebirth. Renewal. Refresh. Happy Spring to you too.